A march in downtown, the Stars go viral (again), good uses of the internet, and more. Thousands Turn Out For Downtown Dallas’ Women’s March. A sizable (and from what I saw, diverse) group of women and men and kids and a number of very good dogs marched from City Hall to the Communication Workers of America building about two miles away Saturday morning, joining sister marches in Washington, D.C., and around the world, in support of women’s rights following the swearing in of President Donald Trump. Doyle Rader has a good recap of it here. There were also marches in Fort Worth and Denton. New Twitter Account Created, Featuring St. Mark’s Grad Richard Spencer. I just report the news. Free Pie at Norma’s. Like I said, just here to report. Derek Whitener’s GoFundMe Almost at Goal. As of when I wrote this, the GoFundMe account set up to help pay for the theater director’s medical bills, following his attack at the Haskell Avenue Target last weekend, was just short of its $100,000 goal. Push it over the top. Some notable names have lent their support. 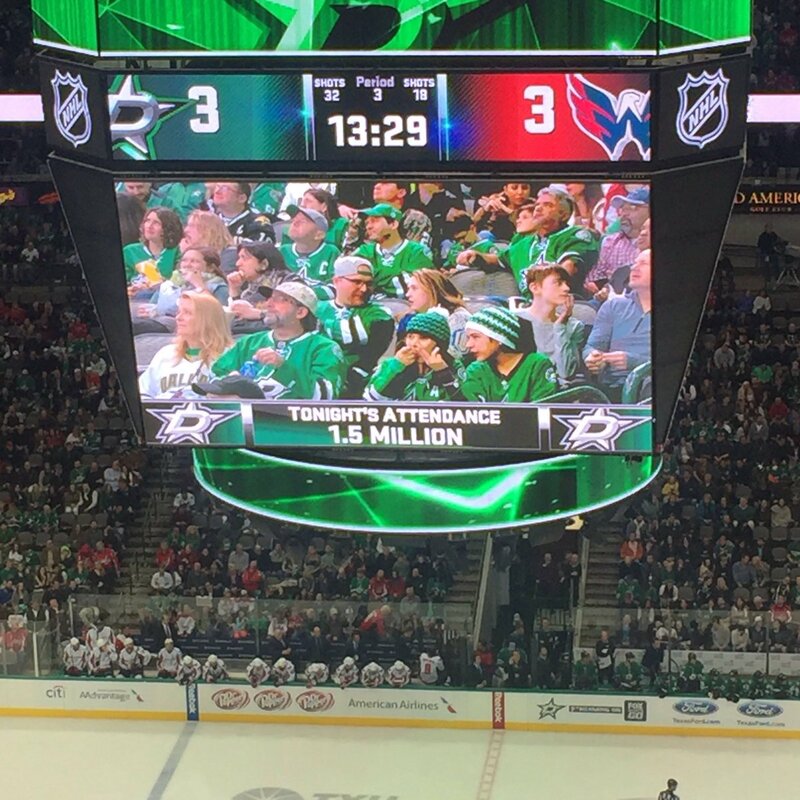 Dallas Stars Deliver Alternative Facts. The Stars’ game presentation team wins again. On Saturday night, the video board displayed the above image, making light of President Trump and his team’s insistence that Friday featured “the largest audience to ever witness an inauguration, period.” To top it off, Stars’ DJ Michael Gruber played “Kryptonite” by inauguration performers 3 Doors Down. Always worth the trip to the AAC, even if the Stars’ aren’t doing as well as last season. Mavs Rout Lakers. It was literally the worst loss in the Lakers’ storied history. Forty-nine points!